A senior executive from major international casino operator Las Vegas Sands Corp., George Tanasijevich has reaffirmed the group’s interest in developing an integrated resort in Vietnam, stating that the country had huge potential with regards to leisure and business-related tourism. The Vietnamese government issued a long-awaited gaming decree on January 20, which for the first time permits local residents conditional access into casinos. Speaking to a local media outlet, Tanasijevich, who is the CEO and President of the Marina Bay Sands Casino in Singapore and also head of global development at Las Vegas Sands Corp said that it was a major step in the right direction. The new rules allow locals above the age of 21, earning monthly at least VND10 million (US$443) to enter casinos for the purposes of gambling. The initiative is being tested for a trial period of three years at a few casinos. According to the decree, casino resorts having capital investment of a minimum of $2 billion across gaming and non-gaming facilities will be able to permit Vietnamese residents to gamble within their premises. Tanasijevich noted that higher investor risk was still present since the program was a three-year pilot, adding that the company would be studying the situation closely and keep a lookout for the right opportunities. He stated that if Vietnamese are given access even with restrictions and the project has reasonable criteria in terms of taxes, investment and regulations, then the company would be eager to continue with their plans to build an integrated resort in the country. 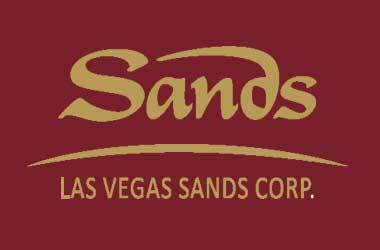 In particular, Tanasijevich pointed out that since Las Vegas Sands was the pioneer for the MICE focused integrated resort model, it was best suited for developing a property that would boost tourism and improve the country’s reputation to do business. MICE stands for Meetings, Incentives, Conventions, and Exhibitions (MICE). He highlighted Las Vegas Sands’ Marina Bay Sands project in Singapore as a prime example of a successful MICE project. Tanasijevich however emphasized that for the project to succeed it must be situated in a prominent urban location. Should Las Vegas Sands decide to make the investment and develop a MICE facility, it would create thousands of jobs, boost tourism and generate significant revenue for the government in gaming taxes.